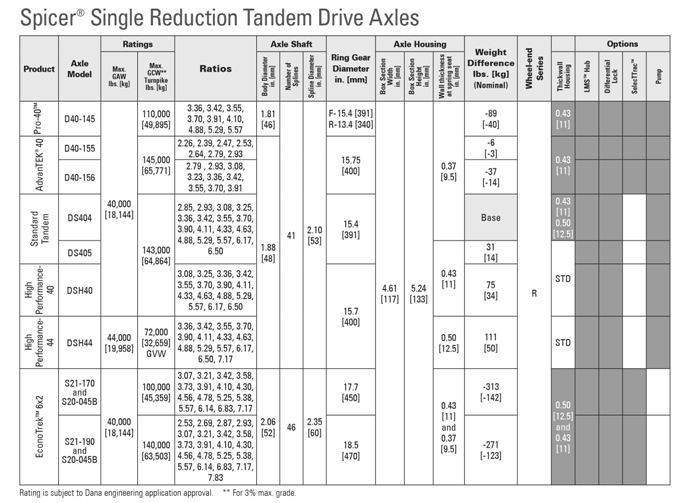 The High Power Density™ (HPD™) design on the DSH44 Single Reduction Tandem Drive Axle provides optimum performance with high-torque, high-horsepower engines in increased payload applications. This high-performance axle eliminates the requirement for strict drivetrain and engine control settings, and is approved specifically for applications up to 72,000 lbs. GVW. Its new gear support system with circumferential and radial ribbed thick flanged differential case is designed to resist shock load abuse. Plus, the exclusive Micro-Lip XL™ seal and slinger system keeps lube in, and contamination out. 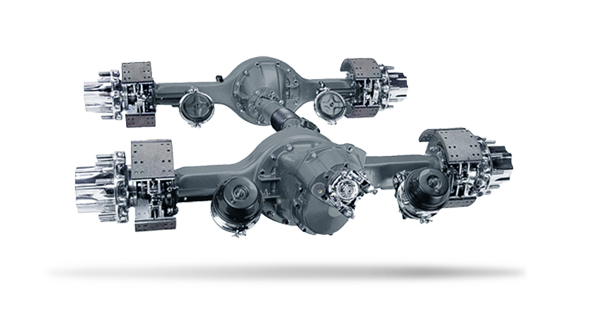 When you need a robust, lighter weight tandem drive axle, DSH44 is tough to beat.